One of the things that we have done this season, is jumped onto the KD2DC bandwagon for a little bit of fun. Personally, I'm not a huge fan of all this craziness but the fans love it, and it is pretty fun to mess around with it (not to cheer for him at a Wiz game people!). 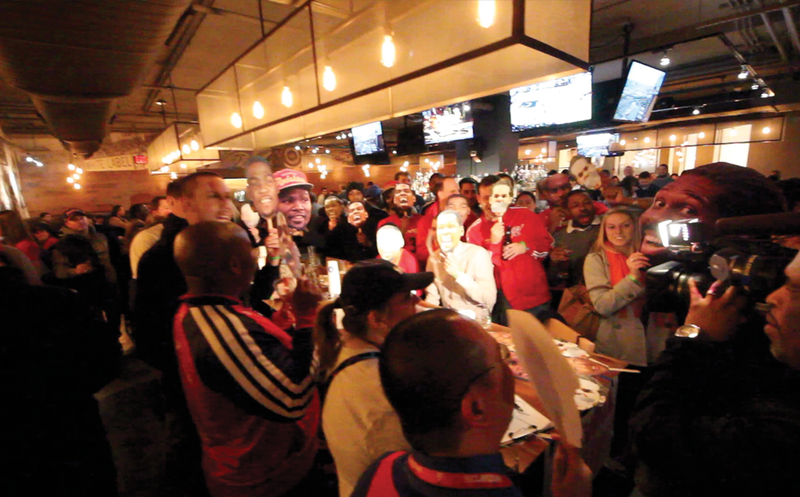 We held our second KD2DC Wiz Happy Hour on Wednesday night at Penn Commons (Photos) and sure enough Wizards fans showed up in full force. 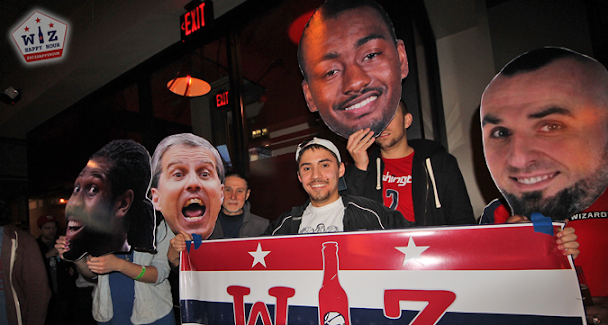 While we did a few KD chants and played around with Durant face masks, we kept it Wizards-centric with Wiz player big heads, louder than the KD, Wizards chants and a whole lot of Wizards basketball talk. Oh yeah. 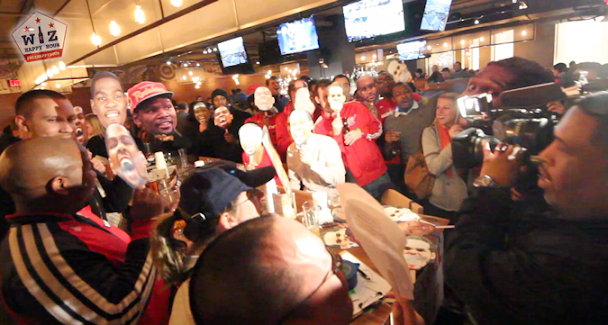 Did I mention we were all on Fox 5 News as well as Comcast Sportsnet! Penn Commons has hosted us before, and they are great. 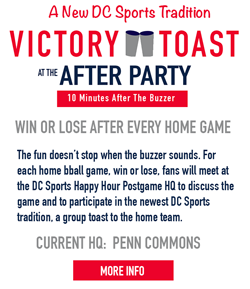 They extended their famous $5 happy hour special (tons of craft beers, wine, select specialty drinks) until tipoff and Wizards fans took advantage. We lined the tables with Wizards masks and beads and had our big heads passed around all over the place. It was a whole lot of fun.